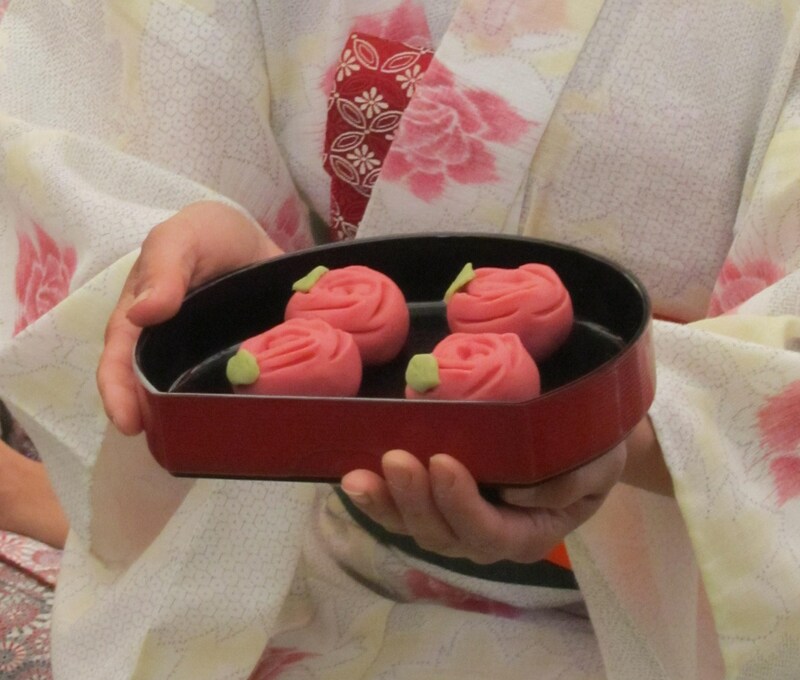 WAGASHI was luxurious treat since it was not available on daily life in the past, so having it that is believed to bring luck on celebrative occasions with loved one was very special. WAGASHI is also a feast for eyes and heart, representing the Japanese sensibility to feel and appreciate the nature.... Wagashi ( ?? ?, wa-gashi ) are traditional Japanese confections that are often served with tea, especially the types made of mochi, anko ( azuki bean paste), and fruits. Dango is the general term for small ball-shaped mochi dumplings. Usually the mochi itself is not sweetened, but the toppings and sauces are. Dango are often skewered on bamboo sticks so that they are easier (and more fun!) to eat. While Okinawan sweets are hundreds of years old, the first form of Japanese sweets, wagashi, was developed about 5,000 years during the Jomon Period. During this time, people started making food out of nuts, according to Yabu. �Smashing oak nuts into powder to make �dango� (dumplings) after removing the bitterness with water are fundamental processes for making wagashi,� Yabu said. Warabi-mochi is famously a summer dessert but you can still enjoy the best of it with a warm cup of tea on a grey autumn afternoon. Low in fat and a great source of dietary fibre � these little chewy cubes aren�t only just refreshing to eat and they are moreish � I find it a healthy perfect tea break nosh. Daifuku (??) or Daifuku Mochi (???) is a type of wagashi (??? ), Japanese sweets. It�s a small round mochi stuffed with anko (sweetened red bean paste) made from azuki beans. Daifuku is a popular Japanese snack and usually served with green tea.